Nutri Advanced Superfood is an easy-to-mix, great tasting, nutrient-rich superfood formula with whole food concentrates. 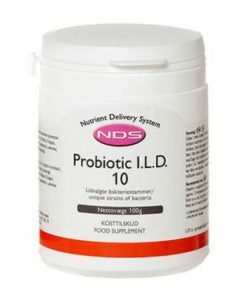 It provides natural fruit and vegetable extracts, together with enzymes, antioxidants, phytonutrients, and live bacteria. 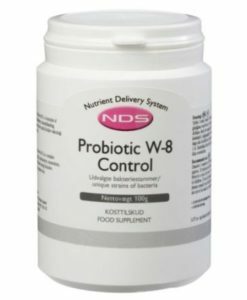 In a delicious natural strawberry & kiwi flavour, this exciting blend can be mixed into water, juice or drink of your choice, and provides the antioxidant power of 20+ servings of fruits & vegetables. 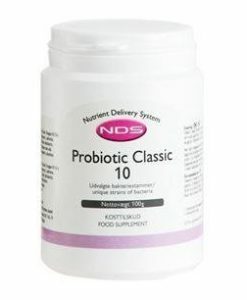 Lactobacillus acidophilus, Lactobacillus casei, Bifidobacterium breve, Lactobacillus rhamnosus, Fructooligosaccharides. Stevia, Citric acid, Natural strawberry flavour, Natural kiwi flavour, Ascorbic acid. 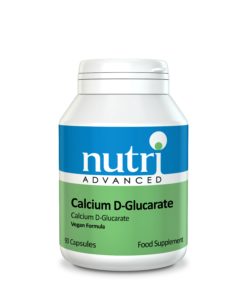 Provides a proprietary antioxidant blend, including goji berry, acai berry, grape seed extract, pomegranate, mangosteen fruit, and many more! 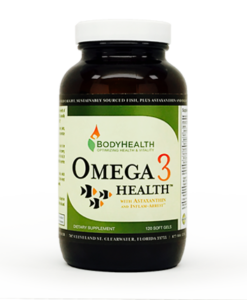 Provides the antioxidant power of 20+ servings of fruits & vegetables. 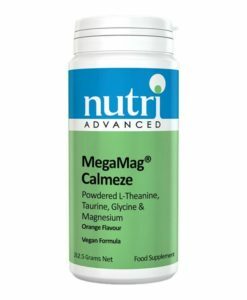 Provides a blend of green foods, including spirulina, chlorella, green tea extract, kale, broccoli and kelp. Green foods support an optimal pH balance in the body & are important for alkalinisation. Features a blend of fibres, including prune extract, aloe leaf, apple pectin & oat betaglucans. 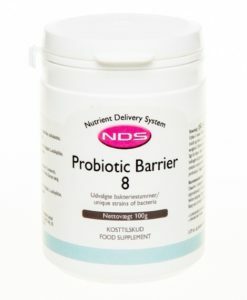 Contains a blend of digestive enzymes and live bacteria, to support healthy digestion. 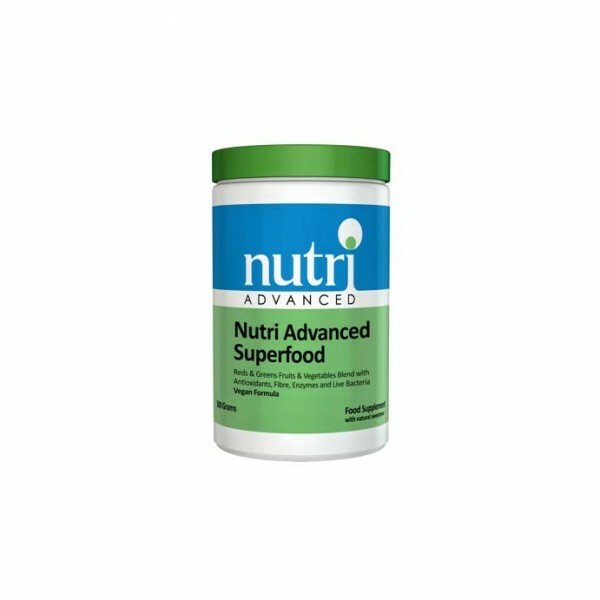 Nutri Advanced Superfood contains no added sugar, no stimulants and no caffeine. Available in delicious natural strawberry & kiwi flavour! Mix 1 scoop (10.09g) into 250-300ml of chilled water (or to your personal preference) once daily, or as directed by your healthcare practitioner. 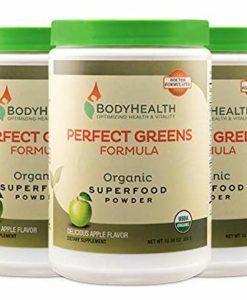 Advanced Superfood Reds & Greens Fruits & Vegetables Blend with Antioxidants, Fibre, Enzymes and Live Bacteria ideal vegetable replacement for individuals who can’t take or tolerate fruit and vegetables.